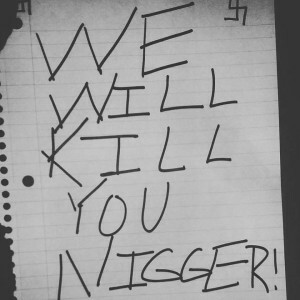 Upon returning to his Capital Commons apartment at 1 a.m. last Saturday, junior Jalen Mitchell found a threatening note with racial slurs and swastikas taped to his back door. 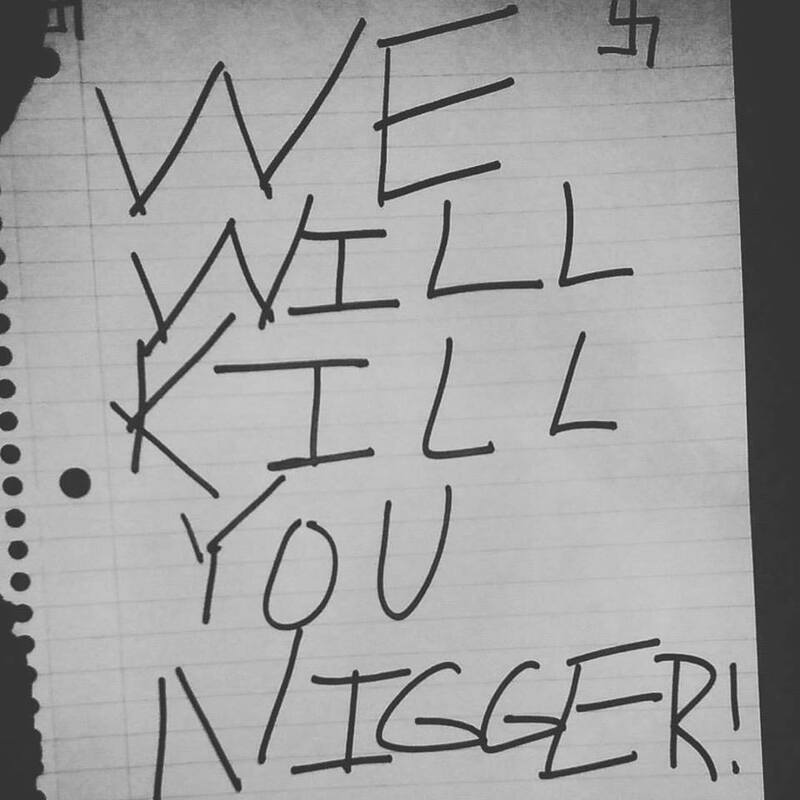 According to the latest Safety Bulletin update, Capital University Police is investigating this occurrence as “a report of aggravated menace.” No university officer was available for further comment. “I’m not sure who did it. And I don’t know if it was a sick joke, but I definitely feel I’ve been targeted, like someone is constantly watching me,” Mitchell said. It is not clear whether the perpetrator is a Capital student or a non-student. Mark Bartus, the only roommate in town at the time, was asleep and did not read Mitchell’s text until later that morning. Bartus was not the only one outraged. On Saturday afternoon, Mitchell shared a picture of the note on Facebook. The post received more than 220 likes and 130 comments from concerned friends, family members, and faculty. Asked whether he feels safe on campus now, Mitchell said he has grown more aware of his surroundings and makes sure his doors are locked all the time. As for Mitchell’s emotional well-being, the junior music performance major said he finds strength in his faith, the foundation he was given as a child, and love from his Capfam. Mitchell believes that Capital and the campus community handled his situation in the best way it can. Capital is not exempt from the racial tension breaking across many American universities, seen through the student protests at the University of Missouri and locally at The Ohio State University. In light of the hate crime committed against Mitchell and other tragic events happening in the world, President Denvy Bowman called for a university-wide conversation about “diversity and inclusion and the essence of human dignity” at 4 p.m. Monday, Nov. 16 in the Kerns Religious Life Center Chapel. Conversation leaders will include Almar Walter, director of Capital’s Office of Diversity and Inclusion (ODI); Pastor Gary Sandberg, dean of the chapel; and Branden Smith, associate director of the ODI. This event will be the first of many community conversations to come that will help Capital “continually and collaboratively build a culture that demonstrates an uncompromising commitment to selflessness and respect for others,” said Bowman in his email to the university.